One of Noodlers 3 colour series of inks. 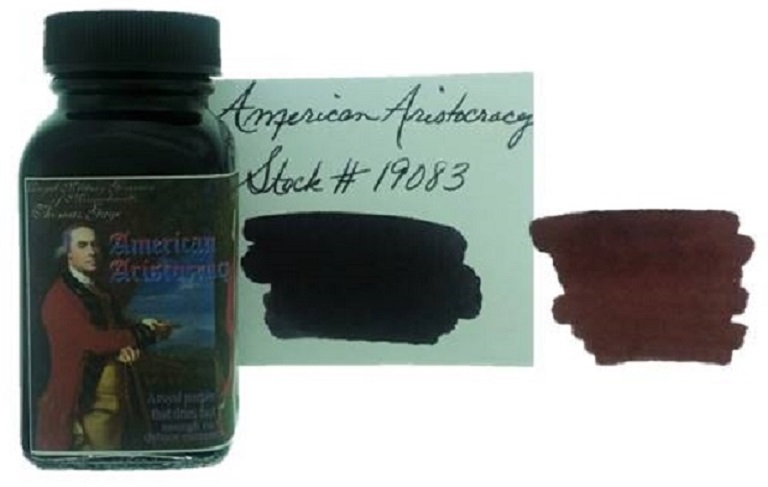 This ink is bottled individually, one bottle at a time with each bottle thus being purposefully unique…to resemble a conservative colonial semblance of the three most aristocratic colours: red port, dark sherry, and Madeira. The ink is not bulletproof.